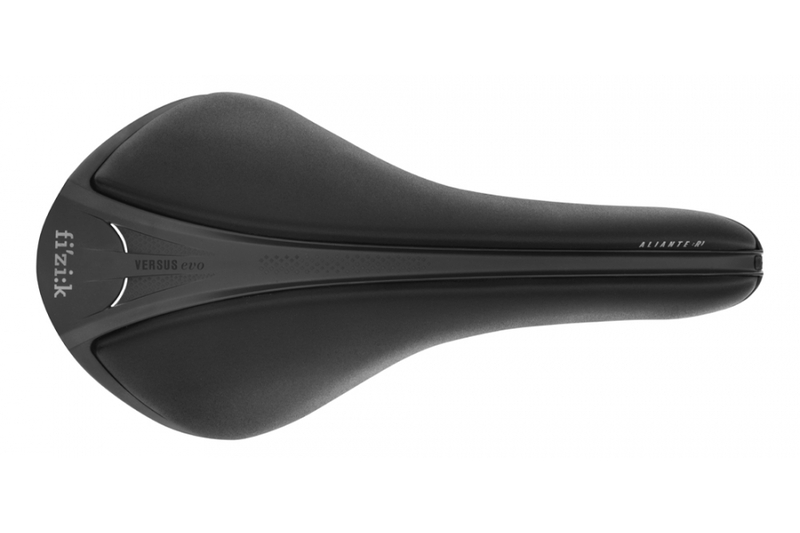 With full-channel comfort and advanced technology, materials and craft, Aliante R1 Versus Evo is a leading performance road saddle for riders who want a waved saddle profile and a pressure relief channel. Designed for Fiziks Bull style riders. Aliante R1 Versus Evo features a composite Carbon-reinforced nylon shell – with Wing Flex technology which enables flexibility where your thighs meet the saddle – and a light, strong, Braided Carbon rail. A Comfort Core foam layer beneath the neat, durable Microtex cover provides comfort, and is enhanced by the full-length comfort channel which reduces pressure on the rider’s sensitive soft tissue and ensures that all weight is correctly supported across the whole surface of the saddle.